This series is a development of the 77IW series to meet the demands of a minimalist modern market. The sash is hidden by the frame, thus reducing visual impact of aluminum and increasing indoor lighting. The high thermal insulation of these systems is obtained using 39 mm honeycomb polyamide bars reinforced with the insertion of special insulating strips. This solution makes it possible to reduce convective motions in the profiles’ cavity and obtain high certified thermal and acoustic performance values. 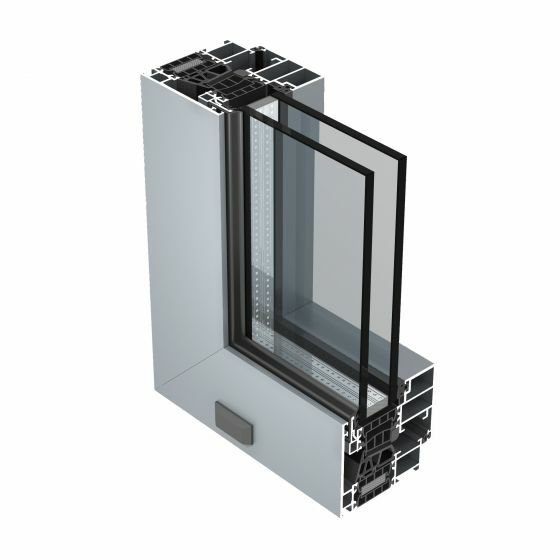 Thanks to the use of 77 to 87 mm sectional profiles, this series offers customers the best solutions and performance in the Aluk range.